Apologies for the crap photo today, but frankly this dessert was kinda crap too. 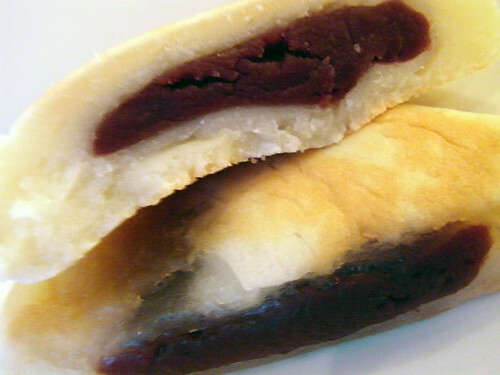 Mochi and red bean paste are a delicious combination, however this one tasted slightly funky, fishy even? Could tell if it was a problem with my palate or the fault of the dessert. Oh well.